Over-scheduled? Live out of town? Just don’t feel like changing out of your sweatpants to attend another wedding appointment? That’s why we offer video consultations. 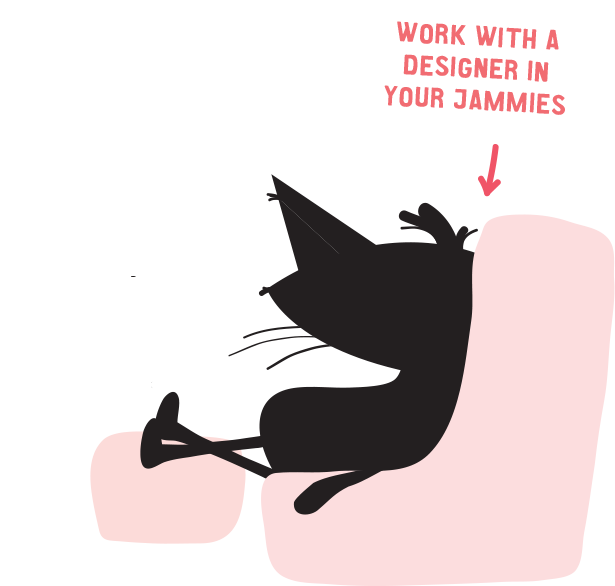 Yes, ladies and gentlemen, you can chat with one of our real-life designers from the comfort of your couch (and your yoga pants if you wish). Reserve a consultation over the phone, via email or with our online scheduler. Learn more! We’ll send you a link for the scheduled day and time. We’ll spend 30–60 minutes getting to know you and your wedding vision while also showing you design samples that compliment your style. 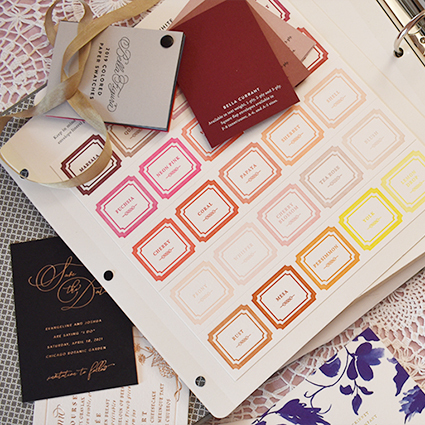 Based on our appointment, we’ll send samples to your home so you can touch and feel the lovely paper options we discussed. While our designs look pretty online and in photos, the real magic happens when you see them in person. 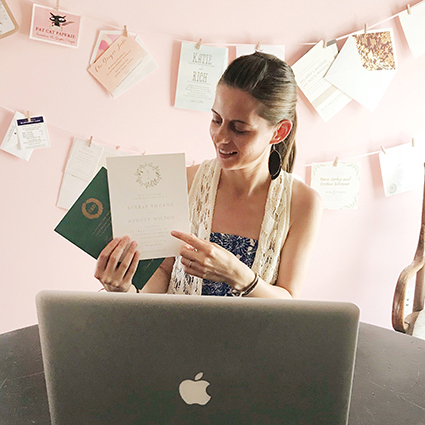 Once you have your samples in-hand, we can walk you through the various paper options and printing techniques over the phone or via email. We’ll also discuss pricing if we haven’t done so already. We’ll send a return envelope along with your samples. So once you make your paper decisions, all you have to do is drop them back in the mail. Easy, right? Go ahead and book an appointment. We can't wait to chat with you!